Draco Design is mobile accessories supplying company that truly focus on technological innovation. It creates accessories which help to distinguish the mobile internet devices. The company designers and engineers adopts technical approaches creating accessories having unique design in appearance and performance. Keeping in view the latest fashion, luxury and performance, the company tries to supply the products like Aluminum Bumpers, Protection Plates, Cables, Audio Devices, Stands, Stylus, etc. Customers can also have genuine product check through company website to know how genuine the product is ? Each Draco product has the Genuine Label with serial number on retail packing and customers need to enter the serial number in the field given in the genuine check form. 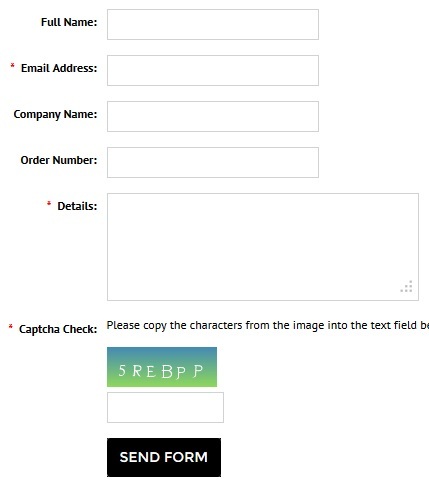 For any queries or suggestions, customers can use Contact Form and the snapshot of the form is shown below for reference. For latest product and to have a genuine check of products, customers can refer the company Website .